I installed the smooth tiles in my basement laundry room area over a cememnt floor. It is a wonderful product. The floor looks great and it is good to walk on. 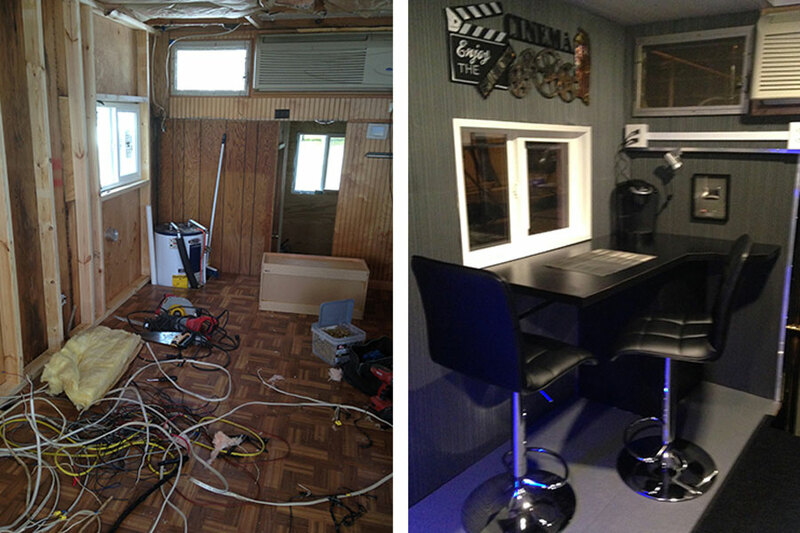 The contractor who installed it for me said it was great to work with and he will recommend it to other customers. Very satisfaied. This was the most amazing look when completed. It was fast AND easy to install and looks GREAT! 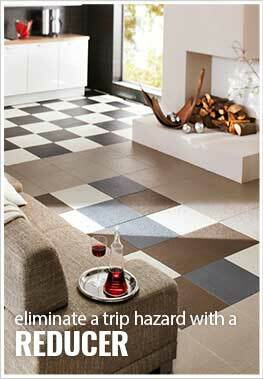 There was no way we could have achieved this look with any other tile. Self-installed in Horse barn, tack room. 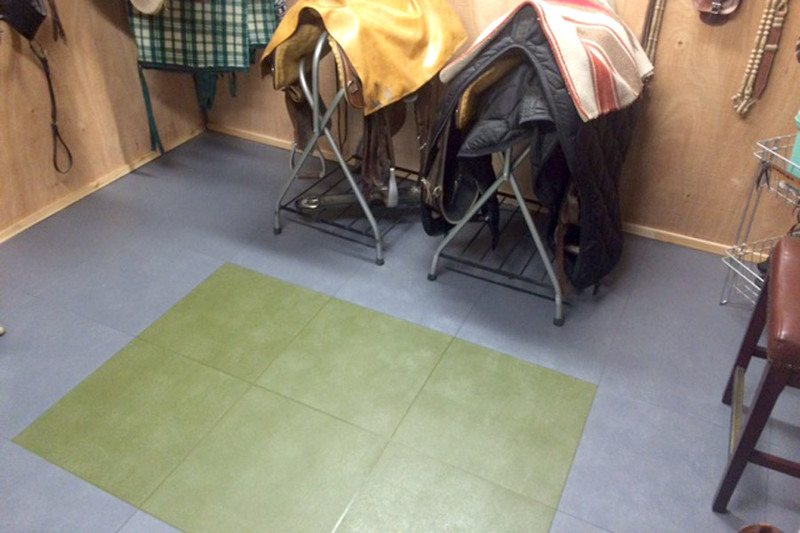 I used this product to finish a floor in my tackroom (place to store riding equipment in a barn). The old floor was fairly rough, dirty concrete with a seam down the middle of the room where we had added another slab. All I had to do was vacuum up the concrete and fill the gap where the seam was. I used a sheet of plastic under the tiles as recommended by the manufacturer and then just started laying down my tiles. It was really fun! 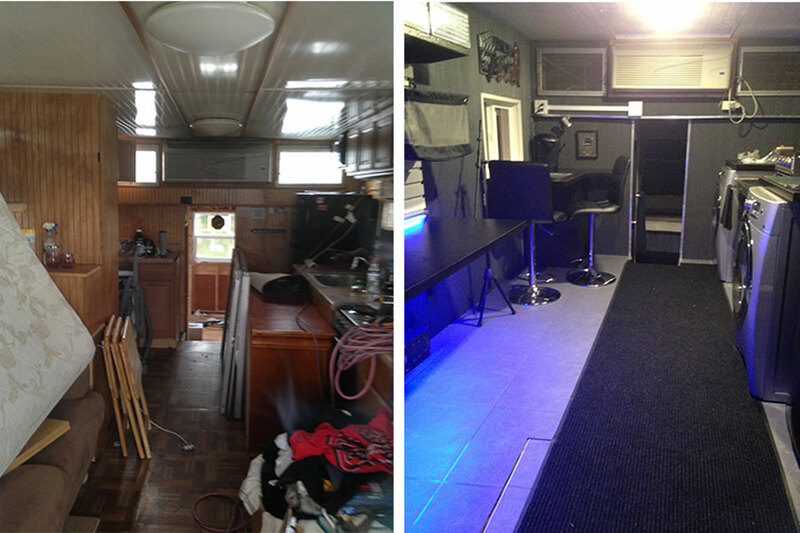 Changed the whole space. Easy to clean, I believe it is staying warmer in there too. So much nicer underfoot. I really like the fact that I did not have to use a concrete cleaner or any adhesive material. If someone wanted to they could pick this tile up and use it in another location in the future in they chose to. Already recommended to friends. Purchased these for half bath/laundry room on slab. Older town home had ugly sheet vinyl on the floor, installed these tiles right over the sheet vinyl, and flaws in the vinyl do not transmit through. Cut moderately easily with sharp razor blade (most took two or three passes), snap together easily. Plan on changing blades frequently. After lining them up and snapping a tab or two, loads of fun to step on tile edges and pop rest into place (like walking on bubble wrap), used a rubber mallet to make sure all edges fully snapped into place. Looks good, easy to clean, waterproof. Seems a bit pricey but pretty comparable to putting down Ditra and tile (and anything is better than scraping up glued down vinyl). Plan to install in second floor full bath, once I fix the toilet flange problems!